Graeme Dandy’s 10 minute presentation from today’s Four in 40 seminar is now available as a podcast. You can also download a copy of the PowerPoint here. The Environment Institute and the Department for Water (previously DWLBC) hosted the latest installment of the Four in 40 series today, with its seminar titled ‘Modelling as a Tool for Decision Support’ held at the Auditorium, RIAus. 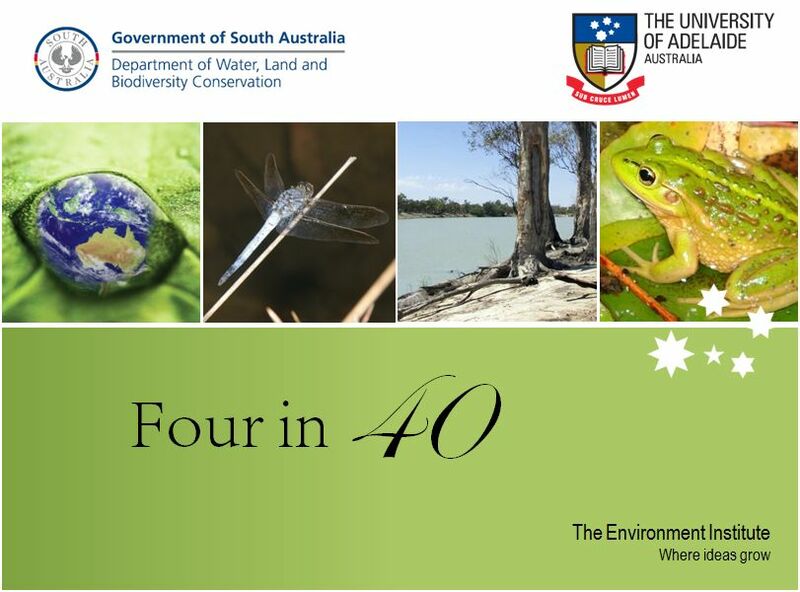 “Four in 40” is a collaboration between The University of Adelaide and the Department for Water, where 4 speakers each speak for 10 minutes on their research and its implications for policy (and vice versa), followed by discussion. The purpose is to build understanding of how to best work with each other, build new business for both organisations and raise awareness of activity being undertaken in water/NRM policy and research. This entry was posted in Events, Podcast and tagged Four in 40, Graeme Dandy, modelling. Bookmark the permalink.